Pokies are clearly the most popular form of gambling entertainment among New Zealand players. In live casinos in the country, players have to put their money on the line if they want to play slots – there is simply no way about it. With online casinos, however, New Zealand players can find many venues that offer them a chance to try their slot machines for free, using play money. Beyond just allowing the free play, many casinos will even offer incentives for Kiwi players to register an account and get started. Players can get their shot at some slots with free bonuses and actually get to walk away with some real money in their pockets while risking nothing at all. The way it works is that the casino will issue bonus rounds on a popular pokie for a player to try his or her luck. These rounds have a certain value which is determined by the coin denomination (like NZD0.10 or NZD0.20 a spin) and all the winnings are calculated according to the paytable for that denomination. For this reason, some slots with free bonuses are better than the others. The thing is, casinos will usually give free play on the lowest denomination for a particular game. Some pokies have a higher lowest denomination than the others, which makes them more valuable to the players by default. So, what are some of the most popular slots with free bonuses out there? 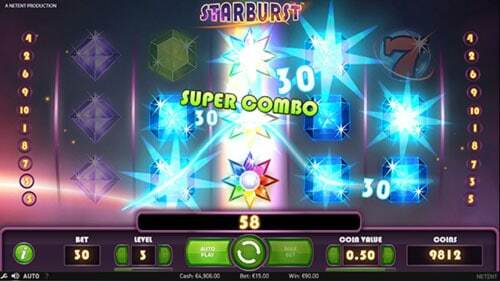 NetEnt’s Starburst is easily the most popular slot from this category. This 10-payline game has a low initial denomination and not too many special features, though, so players can’t really hope for any huge wins from this one. That said, Starburst is also a fairly low volatility, so you can always expect some returns from it. And, if you do end up with those elusive three stars on the three middle reels, the payout is quite handsome. One of the most popular slots from Play’n GO, Book of Dead offers 10 paylines and a bonus feature with a special expanding symbol. Triggering the bonus in this slot can be quite valuable so you’ll be looking to land three or more those book scatters during your free play. Additionally, full lines of high-value symbols also offer big wins, with the biggest possible win in the base game being 500x your bet for the full line of Explorers. 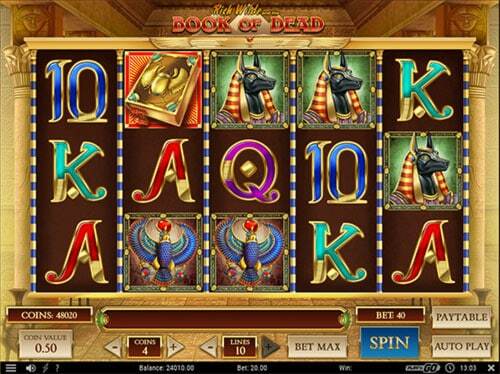 There are quite a few casinos where you can try Book of Dead in this way. 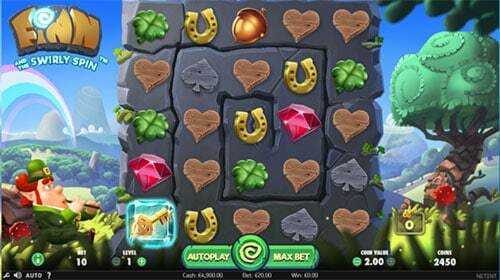 NetEnt’s first cluster pays slot, Aloha Cluster Pays has quickly become one of the favorite slots with free bonuses. Although the game offers nice colors and a fairly entertaining gameplay, the fact that the free play is usually issued at NZD0.10 a spin and the slot doesn’t often pay big take a bit away from the excitement. However, with low-value symbols being removed from the reels, with a couple of re-triggers, Aloha can certainly surprise you. 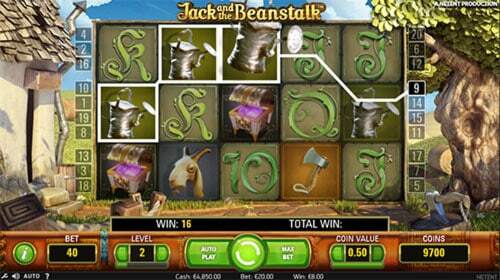 One of the older NetEnt releases, Jack and the Beanstalk is one of the best slots with free play out there. First and foremost, the lowest denomination is double of what you’ll find with most other pokies listed here. Secondly, the walking wilds feature means you can get many more spins during your play. Finally, if you get lucky and trigger the bonus feature with upgrading wilds, things can really go crazy. Huge bonuses are somewhat infrequent but they do happen. 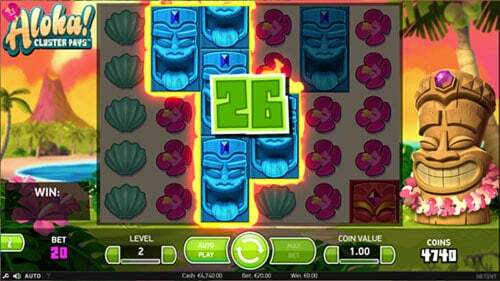 The Mexican-themed Spinata Grande slot by NetEnt is a whacky, hilarious game that you’ll certainly enjoy. It, too, has a higher lowest denomination of NZD0.20, so that alone makes it a good choice. 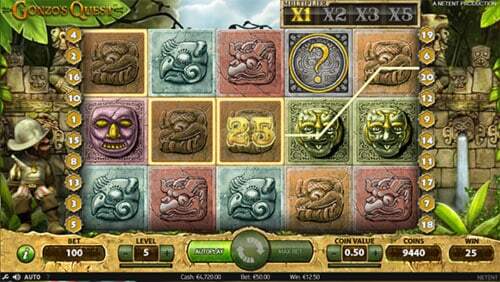 Furthermore, the game features colossal symbols, so there is a serious potential for big wins. During the bonus, a colossal wild symbol is added to the reels and this is where some truly big wins can occur, resulting in great returns on your free play. One of the best-known NetEnt’s games, Gonzo’s Quest is definitely right up there with Starburst when talking about slots with free bonuses. Casinos love giving players free play on Gonzo’s Quest, and luckily each bonus round is valued at a minimum of NZD0.20. However, to win big playing Gonzo, you’ll really need to get lucky because bonuses are hard to get and even when you get one, it will often pay very little. 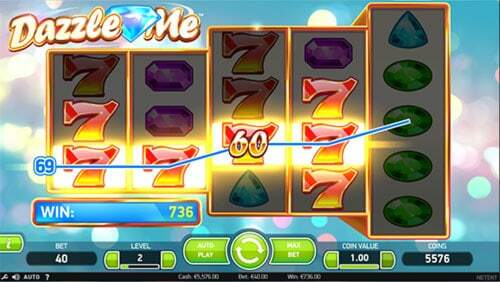 With the lowest bet of NZD0.20 a spin and as many as 76 paylines, Dazzle Me slot is definitely the one to look for when seeking slots with free bonuses. The game also features a bonus round with Linked Reels, which can help you get to some serious wins. Although this isn’t a particularly elaborate game, it is still visually appealing and it definitely comes with some nice potential. 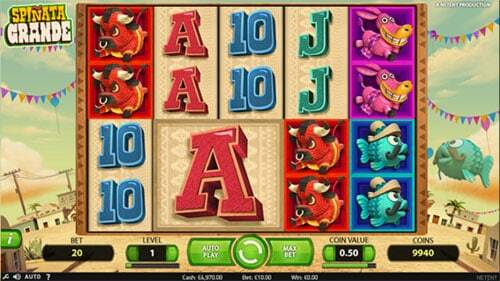 One of the latest NetEnt releases, Finn & the Swirly Spin is a slot that doesn’t use traditional reels. Instead, symbols are arranged in a circular shape and the main goal is to get the Key symbol from the start of the maze to the center to unlock the bonus feature. In terms of free play, this slot is an okay option but what takes away bit from it is the fact the slot was designed with repeat play in mind because players get to unlock better bonus features by playing more and triggering the bonus more times.